Comment: This is a condominium building with 6 units in it. There may be some damage to the plywood sheathing in one area. Once we have a satisfactory estimate in hand, we are ready to authorize the work. Comment: During this windstorm a lot of shingles have blown off our 9 year old house. Over the garage area it's down to the wood. We had a bad experience with our insurance company last time and we'd rather not make a claim unless the costs would be well above the deductable. It doesn't look like too complicated a job. Most of the damage is about 3/4 way up the roof. Comment: Since before we purchased the house, water has been coming into the house and causing damage to the ceiling tiles in the kitchen area and the ceiling tiles and wall in the entrance area. We have repeatedly hired roof repair people to solve this problem. They have taken out the lightening rods (but the internal wires may still be in place). They have patched areas around the chimneys. We had a new roof installed last year. But the problem persists. If anything, it may have gotten worse. Middlebury Roofing Contractors are rated 4.86 out of 5 based on 29 reviews of 3 pros. 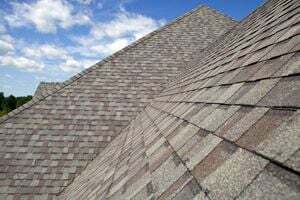 Not Looking for Roofing Contractors in Middlebury, VT?